LOCATION.--Lat 42°34'52.6", long 74°19'02.8" referenced to North American Datum of 1983, Schoharie County, NY, Hydrologic Unit 02020005, on right bank 20 ft downstream from bridge at State Highway 145, 1.5 mi southeast of Middleburgh, and 1.6 mi upstream from mouth. PERIOD OF RECORD.--December 2017 to current year. GAGE.--Water-stage recorder and crest-stage gage. Datum of gage is 784.75 ft above NAVD of 1988. Prior to Apr. 19, 2019, on right bank at site .6 mi upstream at same datum. REMARKS.--Water Year 2018: Records poor. 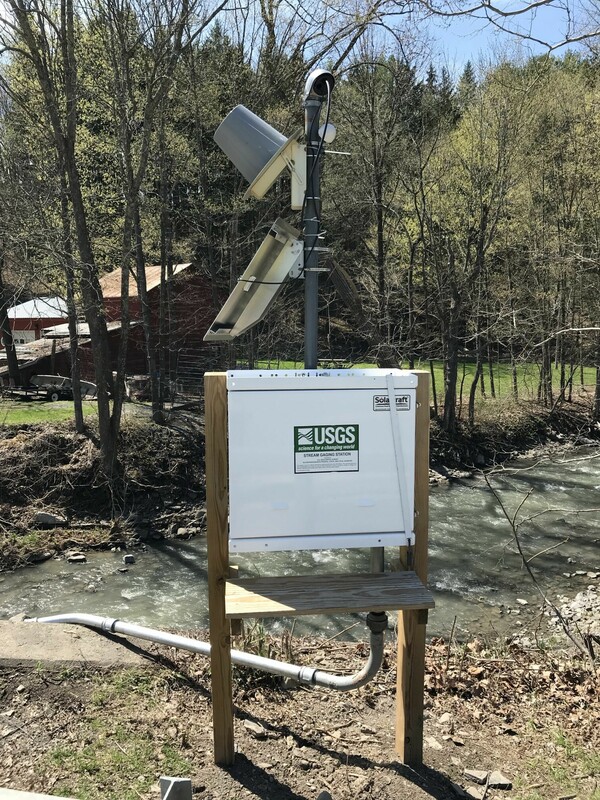 EXTREMES FOR PERIOD OF RECORD.--Maximum discharge, 517 ft³/s, April 16, 2018, gage height 4.66 ft; minimum discharge, 0.66 ft³/s, July 21, 2018; minimum gage height, 2.12 ft, July 20, 21, 2018.